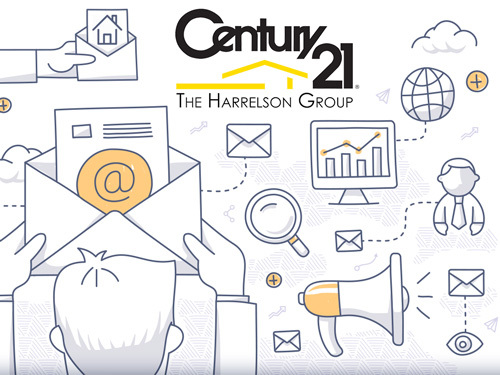 For those real estate agents that use some sort of email nurture program, you should be seeing great success. Of course, there are many versions of an email marketing system which can be used and they are often called… Email Blasts, Email Drip Campaigns and Email Nurture Programs. Call it what you want but when used effectively, you can generate a lot of buyer and seller sales. The key to converting your database into sales is the system you use to monitor the activity within your database. Most of you know that I use the Infusionsoft email automation system for my real estate business. This is when you send something and wait for the phone to ring or for them to email you back. Keep in mind, people that read your emails don’t always respond to your emails. You send something, watch who opens and clicks through via a hyperlink and then you call them. Instead of waiting for someone to call you, you call them. Hopefully you can see that the Active Approach is the approach that will land you a lot of business. You have to monitor database engagement. When people are engaging then you have to reach out and touch them by phone. I recently listed 7 properties in one month from a combination of two Just Sold emails that I sent through Infusionsoft. The emails were not that special. It was the fact that I was watching people engage with the email, click to additional links and I called them. The people in my real estate database that were actively clicking through the email happened to be my hottest leads. This should make complete sense because if they were not interested in doing something then they would not be spending the time to read the email multiple times and click to look at additional information. Real estate agents are missing a golden opportunity. Too many agents are buying leads today when they actually have leads sitting in their computer ready to go right now. By the way, the only leads that companies can sell us are the ones that we fail to follow up with. People complain about Zillow taking our leads but the truth may be that our leads our leaving us because we are not following up properly. If you want to put a stop to this madness and start converting more business than you have to take an active approach to your email marketing. If you are not calling those that are active in your database than your competition will. If you are interested in learning more about my systems, please take a look below. I NEVER suggest a system that I do not use. If I use it and I love it…I will talk about it. If not, I will keep my mouth shut. Bold Leads – Generate 30-40 listing leads per month. I am leading my company and team to over 2000 sales using the above systems. Do your homework and you will see that I am not blowing smoke. I only share this information in hopes that I can make a difference to you like my mentors did for me.